While driving around looking for a place to live in Atlanta, I attempted to make a U-turn on a wide city street in the neighborhood of Ansley Park. New to the city, I was lost and decided to retrace my tracks back to one of the largest landmarks in Midtown Atlanta: Piedmont Park. As I made the U-turn I noticed the stately two-story brick home with lofty white stucco pillars pictured to the right. The small front yard boasted a U.S. National Register of Historic Places plate, so I decided to pull over. This building that caught my attention is Habersham Memorial Hall, located at 240 15th Street, Atlanta. The historic structure offers a classic look, but is a relatively recent construction, with the cornerstone being laid in 1922. It appeared to me to be a distinguished home, yet was actually designed to host gatherings, meetings and private parties. The story behind the design is interesting. I discovered the traditional facade of Habersham Memorial Hall is a copy of an older building, the Bulloch House once located in nearby Savannah, Georgia. The original Bulloch House in Savannah, also known as the Bulloch-Habersham House, was designed in the Regency style by architect William Jay for businessman Archibald Stobo Bulloch, completed in 1819. 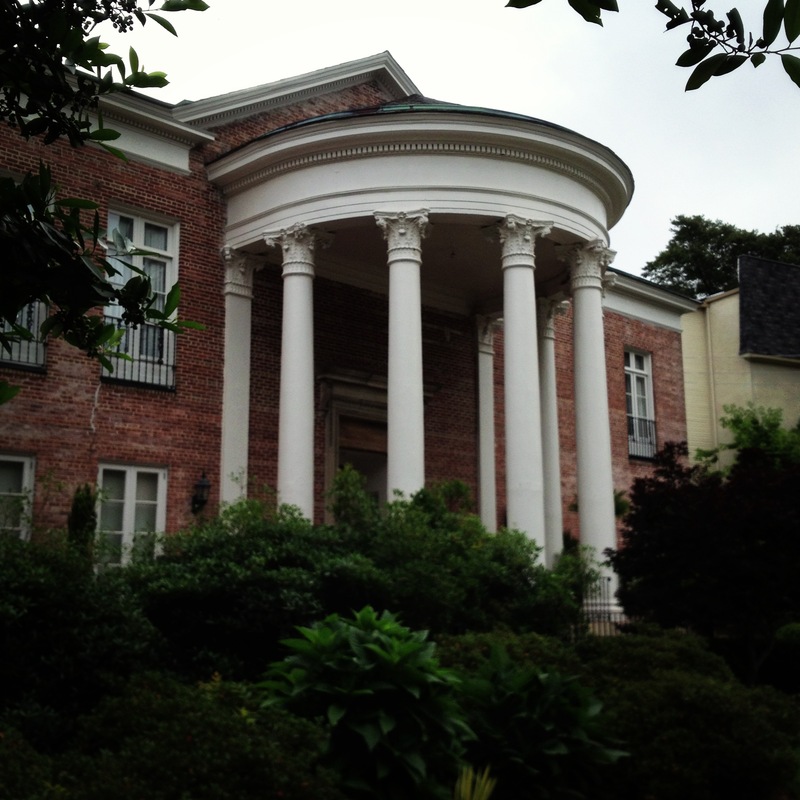 By 1822 Bulloch was in financial ruin and his magnificent home that displayed a tall circle of six beautiful Corinthian columns pictured right was acquired by Robert Habersham. Robert Habersham was from a long line of Georgian businessmen, slaveholders, merchants and statesmen. His grandfather James advocated the repeal of an early ban on slavery in the colonies and opened Savannah to direct trade with London. 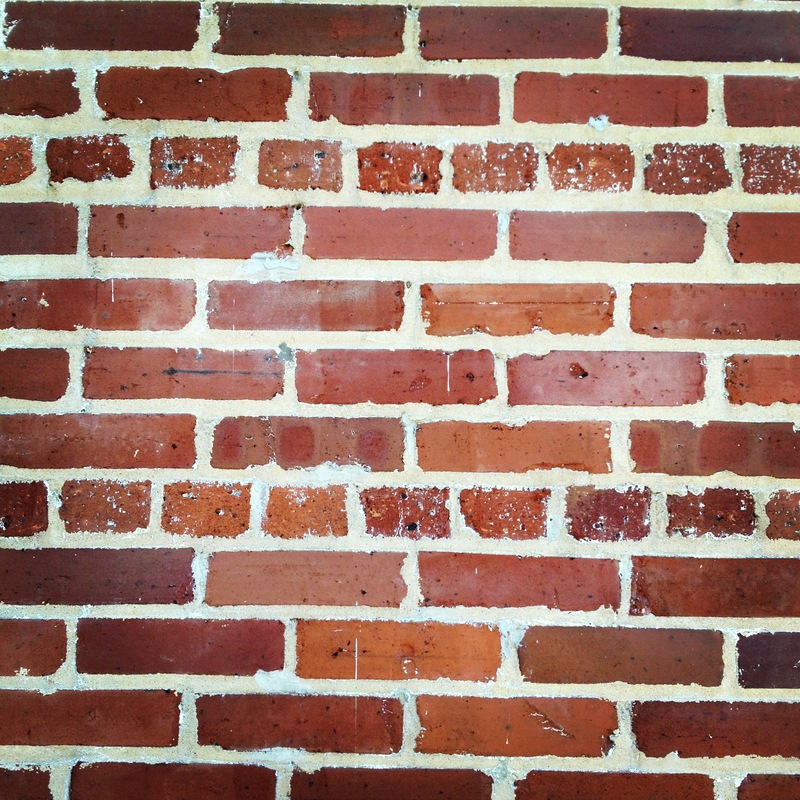 His father Joseph was one of the first Postmaster Generals of the United States. 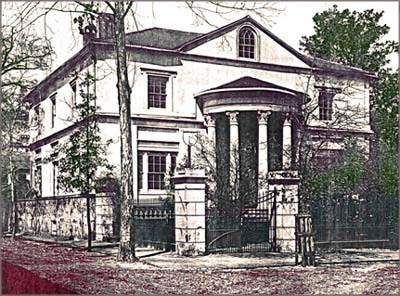 This Bulloch-Habersham House in Savannah inspired New York architect Henry Hornbostel’s design of Habersham Memorial Hall in Ansley Park, the structure I discovered during my U-turn. This Atlanta structure was completed in 1923. The Bulloch House in Savannah was demolished in 1916 and the site is currently a parking lot. 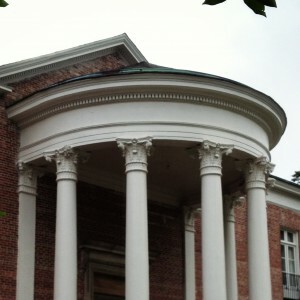 Identical to the Bulloch-Habersham House, Habersham Memorial Hall features a dramatic semi-circle portico. 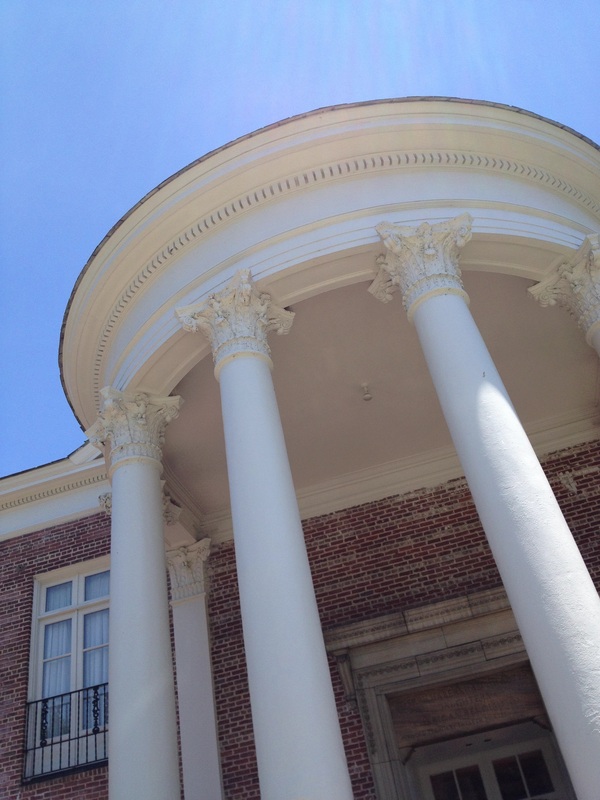 This tall portico offers six white stucco Composite order columns that blend Ionic and Corinthian themes, along with dentil molding in the bedmould of the round cornice and other classical motifs, such as Acanthus leaves and eagles. 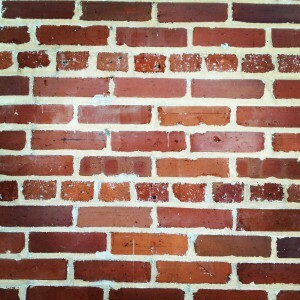 Sometime in the past stucco was applied to the exterior brick. 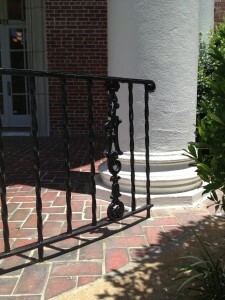 Removed by time and the elements, it now provides an aged patina, a dusty white covering that adds old character. 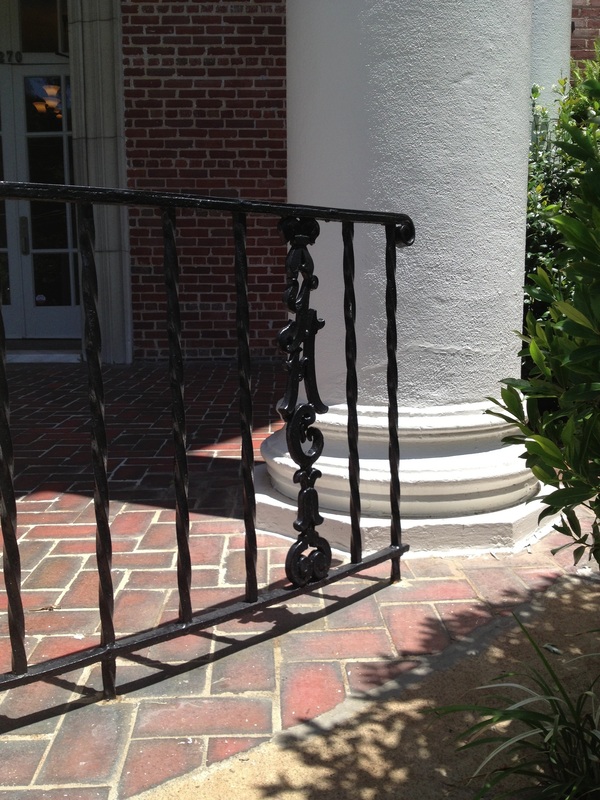 Black cast iron railings featuring the initials JHC (for the Joseph Habersham Chapter of the Daughters of the American Revolution) grace the second-story doors and windows. 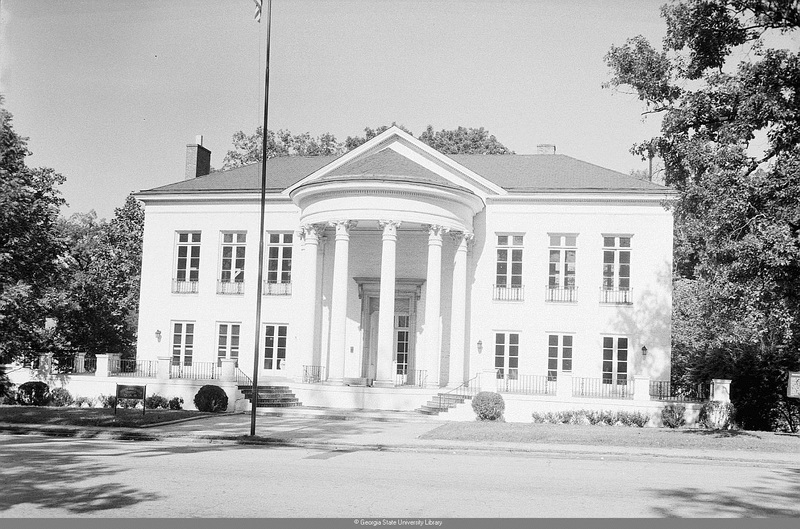 Henry Hornbostel, despite his incredible name, designed other notable Atlanta buildings including the Callanwolde Fine Arts Center along with the Carnegie Institute of Technology and Emory University campus plans. Jokes aside, Hornbostel was a talented architect. Today the Habersham Memorial Hall is the chapter house for the Joseph Habersham Chapter of the Daughters of the American Revolution. If you’re ever lost in Ansley Park, pull a U-turn on 15th Street and check out Habersham Memorial Hall but note: the Hall is not open to the public so if you appear unexpectedly you can only view the exterior. What wordpress theme are you using? 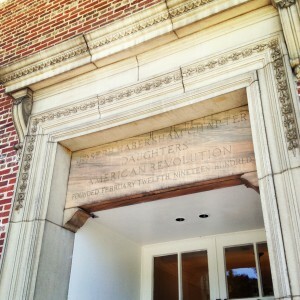 Why did you blog about Habersham Memorial Hall | History Atlanta? Don’t get me wrong, it’s a great post but it’s just kinda different than your other topics. Thanks for the comment. It is quite different, but it was one of the first structures I can across here in Atlanta while exploring and wondered: “Where did that come from? When was it built?” So I decided one of my first articles would be on this structure. Thanks again for the comment! 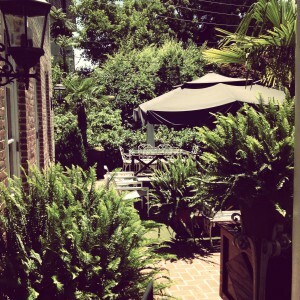 I just want to mention I am just all new to blogging and definitely savored you’re blog site. Very likely I’m want to bookmark your blog . You really have good writings. Thank you for sharing your blog site. I simply want to mention I am beginner to blogging and site-building and certainly loved your website. Probably I’m going to bookmark your blog post . You definitely come with beneficial well written articles. Regards for revealing your blog.